The 2015 Sundance Film Festival kicks off today, and we'll have plenty of updates of the most buzzed about films, acquisitions of the indies for distribution, and plenty more from Park City, Utah. But before the films start playing this evening, the teaser trailer for one of the entries in the World Cinema Dramatic Competition has been unveiled. 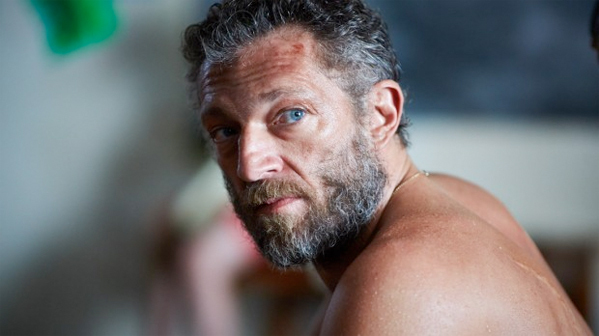 Partisan is a drama from Australia starring Vincent Cassel (Trance, Oceans 12) as a man running a closed community, overseeing a boy named Alexander, who runs dangerous errands to help provide for the group. But slowly, Alexander gets more inquisitive, and that's a problem. Partisan is directed by Ariel Kleiman (of 2011 Sundance Film Festival Grand Jury Prize winner Deeper Than Yesterday), who co-wrote the script with Sarah Cyngler. Alexander is like any other kid: playful, curious and naive. He is also a trained assassin. Raised in a hidden paradise, Alexander has grown up seeing the world filtered through his father, Gregori. As Alexander begins to think for himself, creeping fears take shape, and Gregori's idyllic world unravels. Florence Mezzara also stars in the film playing in the World Cinema Dramatic Competition at the 2015 Sundance Film Festival this month, but has no official release date yet. Mad looking, will keep an eyeball out for this one.